Kids just want to keep warm and keep going. Port & Company's Youth Crewneck Sweatshirt does both and looks good too. Customize one and make it look even better! Treat your little Valentine with this cute custom sweatshirt to express her love status on her sleeve. 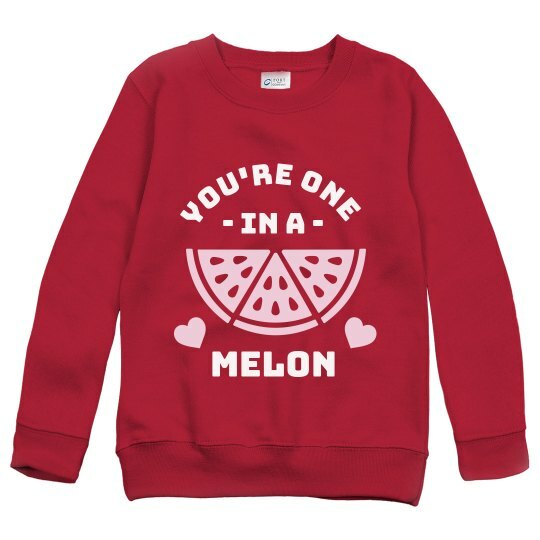 This eye-catching pun is sure to be a hit in her class because she is one in a melon.